Ram Madhvani said, "In my mind I always wanted 'Neerja' to be a mother- daughter story." Ad filmmaker Ram Madhvani, who is making his foray into mainstream cinema with a biopic on Pan Am flight attendant Neerja Bhanot, says he wanted to bring out the beautiful mother-daughter bond in the movie. The film is based on the heroic cabin crew member who died saving passengers on a hijacked flight and the director said he was clear that his story will be more about emotions. “In my mind I always wanted ‘Neerja’ to be a mother- daughter story. The film is about a family and the mix of trauma and pride they went through. This was a story a lot of people didn’t know and I wanted to present it as per my vision,” Ram told PTI in an interview. 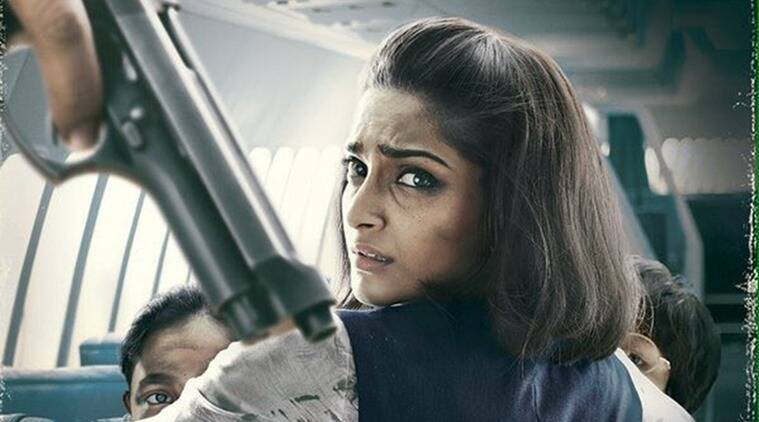 Sonam Kapoor has mostly played glamorous and chirpy roles in her career, but for Ram she was the perfect choice as she has a lot of traits similar to that of Neerja. “Atul Kasbekar (photographer) came to me with the script of the film and he was the one to suggest Sonam’s name for the lead role. We met her and narrated the script and like all of us she also had tears in her eyes. I am glad she liked the story and said yes. “Not only the look, she is also strong like Neerja, has opinions and speaks her mind. She is a family girl like the one in our story. Apart from her attitude towards life she definitely has acting chops,” he said. Written by “Mary Kom” writer Saiwyn Quadras, the film tells an intense story and Ram wanted to present it in the most realistic way possible. To bring in the real tension, tiredness and trauma on the face of the lead actors as well as the supporting cast, the director shot the sequences exactly at the same time as they happened on the Pan Am Flight 73 on 5 September 1986. Ram said he is aware of the responsibility he had towards the Bhanot family as well as the people directly or indirectly attached to the incident. “When I decided to do the project a journalist friend of mine asked me if I was aware about the responsibility that comes with making a biopic. I have carried that responsibility with me everyday. “I researched, met survivors, tried to understand what they went through during the incident and post that. I wanted to convey that to the audience. We are in the business of feelings and as a filmmaker I always work to share that inner emotion,” he said. Ram has been in the field since past 20 years and has many award-winning advertisements to his credit, but the search of right script delayed his Bollywood debut. “Being a filmmaker is like being a farmer. You sow a seed, but it is not necessary you will get good crop. Same with the films, you keep trying and then one day a great script which you want to direct comes and for me ‘Neerja’ was that story,” he said. Produced by Atul Kasbekar and Fox Star Studios, “Neerja” will hit the screens on February 19.